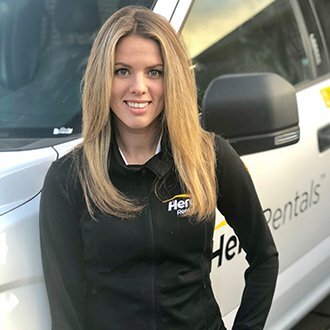 Whether you’re a seasoned sales professional with experience in servicing national accounts, governmental agencies and general contractors or a college graduate seeking an entry-level sales associate position, Herc Rentals wants to hear from you. As a member of our sales team, you’ll enhance relationships with existing customers and build relationships with new customers as you become an expert in solving problems related to power generation, heating, cooling, remediation, restoration and more. Our team of recruiters are always on the lookout for high-energy personnel capable of working in a fast-paced environment. Herc Rentals has been an incredible choice for me and my career. I feel a powerful sense of purpose to be part of an organization that notices hard work, encourages innovative thinking and promotes integrity.